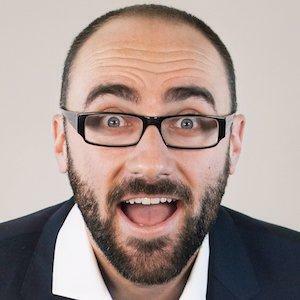 Born Michael Stevens on the 23rd January 1986, in Kansas City, Missouri USA, he is the owner of a popular YouTube channel called Vsauce, which also doubles as his nickname. He is an educator, a comedian, speaker, entertainer, and editor. Vsauce is now the owner of two other YouTube channels, namely Vsauce 2 and Vsauce3, which he co-owns with Kevin Lieber and Jake Roper. Have you ever wondered how much Vsauce is worth, as of late? According to authoritative sources, VSauce has a net worth of over $3.2 million, earned through his successful career which began in the late-2000s. Michael Stevens aka Vsauce was raised in the small town of Stilwell with his sister Melissa. He had a liking for knowledge and drama as a child, however, he enrolled at the University of Chicago where he studied Psychology and English Literature. It was during his studies that he developed an interest in video editing. He joined YouTube in 2007, but it wasn’t until 2010 that he launched his career. Instead, he moved to New York where he worked with Barely Political and Next New Level Networks, which continued enhancing the video editing skills he had acquired while at university. It was during this time that Vsauce also became an actor, best remembered for his role as Bearded Nun in a comedy TV show, featuring alongside other comedians such as Todd Womack, Mark Douglas, Andrea Feczko and Amber Lee Ettinger. Vsauce launched his YouTube channel in 2010, focusing firstly on Video Game Culture, working as both a producer and a host of his show. He later switched to DOT, an education series which turned out to be more popular, so that the YouTube channel began attracting numerous subscribers, which encouraged him to incorporate new ideas into his YouTube videos. This led to more informational and educational subjects in his videos, focusing on Science, Illusion, and Philosophy, and also covering various cultural topics. Vsauce’s YouTube channel commands a total of 12 million subscribers, and has hit over a billion views, which has in large part increased his net worth. His other YouTube channels – Vsauce 2 and Vsauce 3 – produced and hosted by Kevin Lieber and Jake Roper respectively were left to focus on content around video games culture and internet related topics. Aside from Youtube, Vsauce has worked as a content strategist for Google in London in 2012, which also contributed to his net worth. He has also been involved in video productions, together with fellow educator and renowned scientist Bill Nye. He gave two presentations during TED talks in 2013, and was present at YouTube Fun Fest In Toronto. When it comes to his personal life, VSauce is married to Marnie and currently lives in Los Angeles along with Jake Roper, the Vsauce 3 host.